When journals discover duplicated material, many choose to retract — but a cancer journal recently faced with the same dilemma involving a researcher with multiple retractions under his belt has instead decided to flag the paper with an expression of concern. contains some novel content that is of interest to the scientific community. 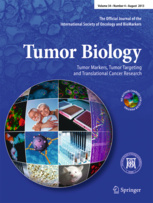 “Epigenetic Therapy in Human Choriocarcinoma,” published in 2010, has been cited once, according to Thomson Reuters Web of Science, and self-plagiarizes from other publications by Takai and his co-author, Hisashi Narahara. Both are researchers at Oita University in Japan. Noriyuki Takai, a gynecologic cancer researcher at Oita University in Japan who retracted three papers last October, has four more retractions, these in Cancer Letters. A gynecologic cancer researcher at Oita University in Japan has retracted three papers by his group after the discovery of duplicated figures and manipulated images.